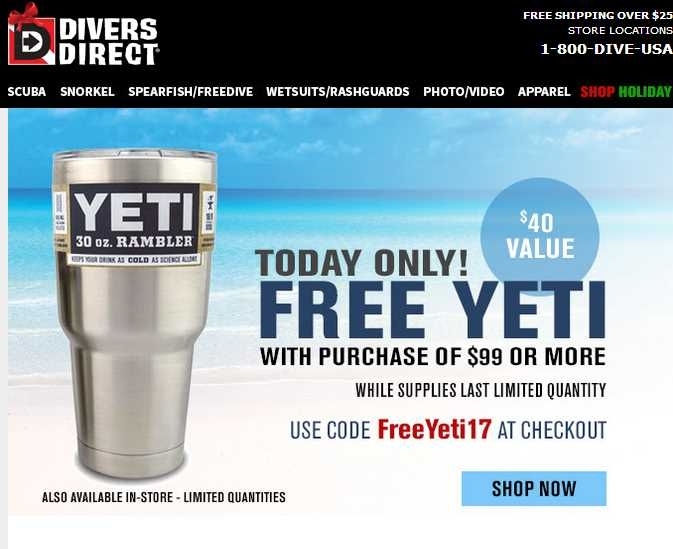 @saragh Free Yeti With Purchase of $99 or More at Divers Direct. I am validating this deal and it works as described. Just enter the code FREEYETI17 at the end of the purchase in the box and get the discount.